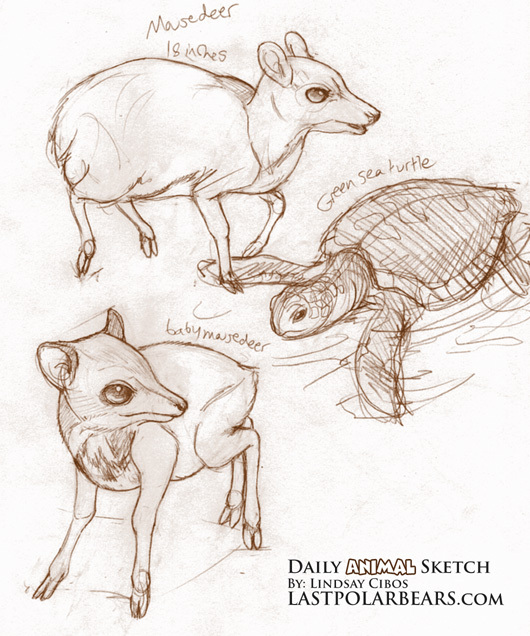 Studies of Malay Mouse Deer and a Green Sea Turtle. Though the Malay Mouse Deer looks rodent-like, these amazingly tiny creatures with their mousy snouts and slender spindly legs truly are part of the deer family. Source: Referenced from photos on BBC news.